As I mentioned in yesterday’s post, Shopbop’s biggest sale of the year is BACK! 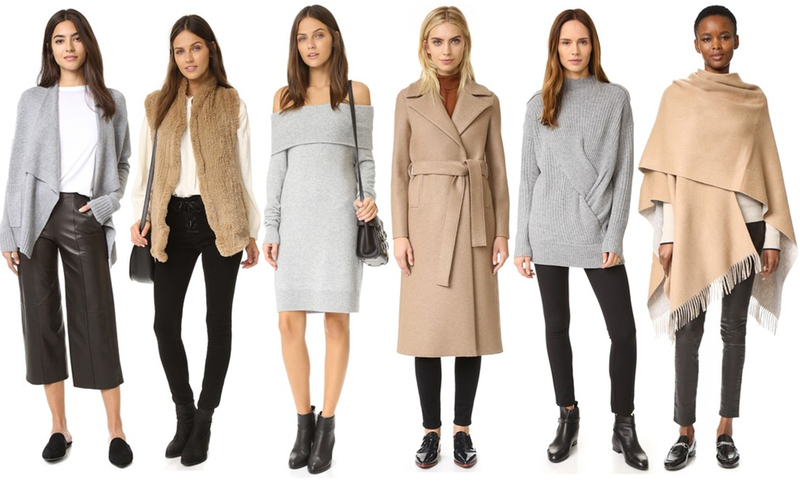 The Big Event sale is the perfect time to stock up on fall/winter basics. The more you spend, the more you save – if you spend over $500, get a whopping 30% off your entire purchase! Some exclusions apply, but nearly everything is part of the sale. I wanted to round up my ten favorites from the sale that you absolutely don’t want to miss. These are all gorgeous wardrobe basics that you’ll wear for years! What are you buying? If you’re collecting ruffles like I am this season, this long-sleeve top is comfy and soft, but also flirty and fun! Such a cute option for pairing with jeans on the weekend or skirts at work. If you saw the video I posted yesterday, you’ll know leather and faux leather pants are an incredible investment. I just found this faux leather pair that’s got a cool moto twist for under $100! Also dying to buy this coated moto pair. So edgy and cool! I’ll be picking up another pair of my favorite pajamas – these are SO freaking soft. You’ll never want to take them off! Also love the pant style set for winter. This Cynthia Rowley jumpsuit has some seriously chic Sandy (Grease!) vibes. I’m obsessed! For a new take on the ankle boot, try this chunky heeled pair by Sam Edelman. Comes in black and camel! I took the plunge and ordered this white blouse – it’s anything but basic. The oversized sleeves are darling! If you’re looking for an everyday tote for work or travel (packs well), try this Madewell leather tote! For denim, my current favorite styles are the Hudson Nico, Frame’s Le High Flare, and the J Brand Maria. Need new shoes for your work wardrobe? These ankle-strap pumps have a shorter block heel, so they’ll be comfortable all day long. Every lady needs a long black coat for the coldest months of the year! Love this flattering belted style. Don’t forget to enter code MAINEVENT16 at checkout! Love these classic pieces, great picks! Love them all. The best piece is the camel coat. Great collection! Love the color palette!